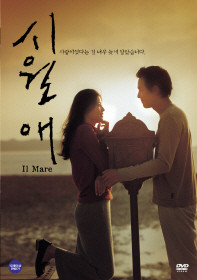 Sung-hyon moves to Ilmare and receives a strange letter. The date of the letters he receives is 1999, tow years ahead of the time. What was written in the letter comes in reality. He receives another letter saying, Be careful, there will be a lot of snow in January, and everyone will have flu. Coincidently, heavy snow fell on the date mentioned in the letter. Un-ju finds that her letter is sent in December 1998 and she sends many letters. She asks Sung-hyon to find a cassette tape recorder. He goes to the place at the time Un-ju mentioned, and they come across. Un-ju has not been communicating with her boyfriend for a long time, and Sung-hyon tells Un-ju something. What he tells Un-ju is what he tells to himself about his father who deserted him and passed away but whom he misses him. Un-ju gives Sung-hyon the writings of his father and he understands that his father loved him. He visits his fathers grave and confesses that he misunderstood his father. Un-jus boyfriend returns from the USA, he has his fiance. Un-ju asks Sung-hyon to take her to the place where she used meet her boyfriend before. Sung-hyon, who already loves her, is troubled with her request. They come across at a subway train, but she tried to avoid him. He says to her, Am I a stranger to you? Give me a chance. She visits his office, but she finds that he died from a car accident. She finds herself that she loved him. She runs to Ilmare with the letter which says she should not go to the place.